L to R: Johnny Willets, Mike Perjanik, Willie Schneider, Mike Kelly (back), John Harrison. The career of Ronnie Sundin was on the slide, until he was asked in mid-1962 to put together a backing band for himself, to play at the newly opened Shiralee nightclub in Auckland. The backing band was called the Embers and contained Johnny Willetts, who had been with the Buccaneers, Keith Graham from the Devils, along with Glyn, Gary and Mike. They only worked with Ronnie for a matter of weeks, before totally going it on their own. Glyn had previously been with the Stereotones. In the early sixties, the Embers became one of the top bands in Auckland, being at one stage the house band at the Shiralee Cabaret, but like all the other groups around at the time, they suffered when a young band from Christchurch moved into town. Armed with a matching set of Fender Stratocasters, Ray Columbus and the Invaders were very professional and everyone else were pushed into the background. 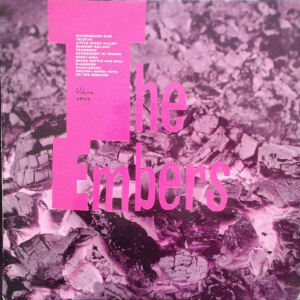 The Embers had produced three singles during 1962 and 1963 on both the Viscount and Viking label. They were "Rinky Dink"/"Green Leaves Of Summer", "Planet 10"/"Man From Laramie" and "Metropolis"/"Painted Tainted Rose". 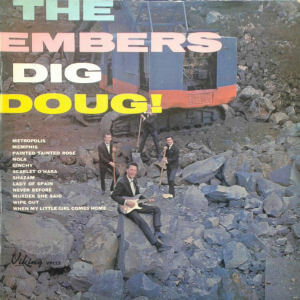 In 1963 they released a self-titled album and followed that up with another album called "The Embers Dig Doug", that wasn't released until 1964, after the Embers had folded. In 1963 Willetts left and went to Terry Dean and the Nitebeats. He was replaced by Doug Jerebine, who was to go on to become a legendary guitarist. Over the years, his sound was to play a major role in the ranks of other top Auckland bands, most notably the Brew. In September 1965 he was working as Tommy Adderley's guitarist on the Dinah Lee Spectacular, her farewell tour of the country. Gary Daverne left and was replaced by Mike Perjanik. Keith Graham was replaced by John 'Yuk' Harrison. Willie Schneider joined on saxophone. He had previously been with the Meteors. Mike Kelly was replaced by Bruce King, from the Stereotones. By the end of 1963 the Embers were no more. Mike Perjanik grabbed some of the remnants and formed the Mike Perjanik Band, who became the mainstay session band on the Auckland recording scene for the next few years. In 1966 Mike took his band to Australia with Allison Durbin. Glyn Tucker later appeared in the Gremlins. John 'Yuk' Harrison became a member of the Meteors and also played in the Invaders. Doug Jerebine went to the UK after his stint with Brew.